As predicted, the strike against Megaupload has much influence on other File- and Sharehosters. Many of them closing, or crippling services. Millions of legal files are no more accessible, and trustful users are going to experience how it is, when you can't share your own files, while lawyers questioning the Megaupload takedown. 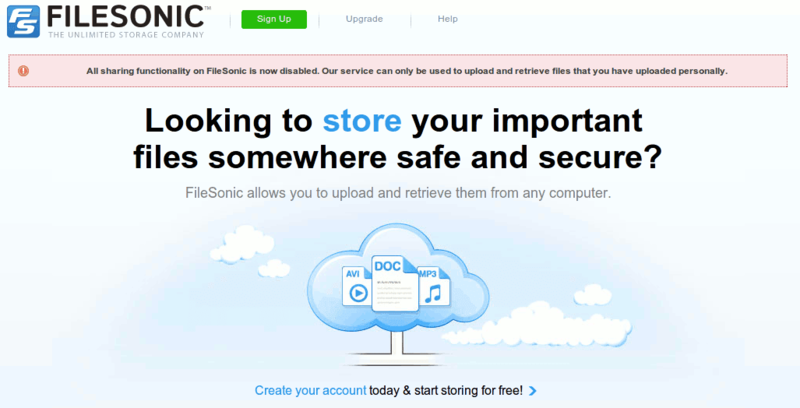 FileSonic is basically nothing more that a webspace without direct linking: "All sharing functionality on FileSonic is now disabled. Our service can only be used to upload and retrieve files that you have uploaded personally." 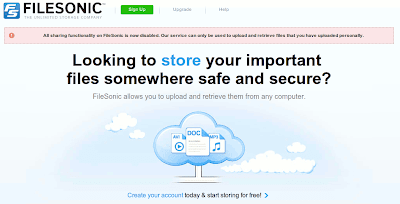 FileServe allows only download the files you uploaded, like FileSonic. Uploaded.to disabled the service for visitors from the US. Jobs at some of those services are in danger. Some employees are afraid to go to work. Think property has won? No Freedom has lost. Try to upload your own work for the public freely. At least you can try it at RapidShare.com. For now, they don't changed anything. It's a Switzerland based company. Maybe that's the future of US freedom. Fleeing to Switzerland.